2. Main Categoiries | Malcolm Harrison Architectural Design Ltd.
Britain is in the grip of an invisible housing squeeze with millions of people living in homes that are too small for them, according to new research which reveals that more than half of all dwellings are failing to meet minimum modern standards on size. The poorest households are being hit hardest, with estimates suggesting that four-fifths of those affected by the Coalition’s “bedroom tax” are already forced to contend with a shortage of space, the Cambridge University study found. The findings will put pressure on the Government, which announced it was to develop a national space standard – although this will only be enforced where it does not impinge on development. Critics argue that the UK already has the smallest properties in Europe following the end of national guidelines in 1980. 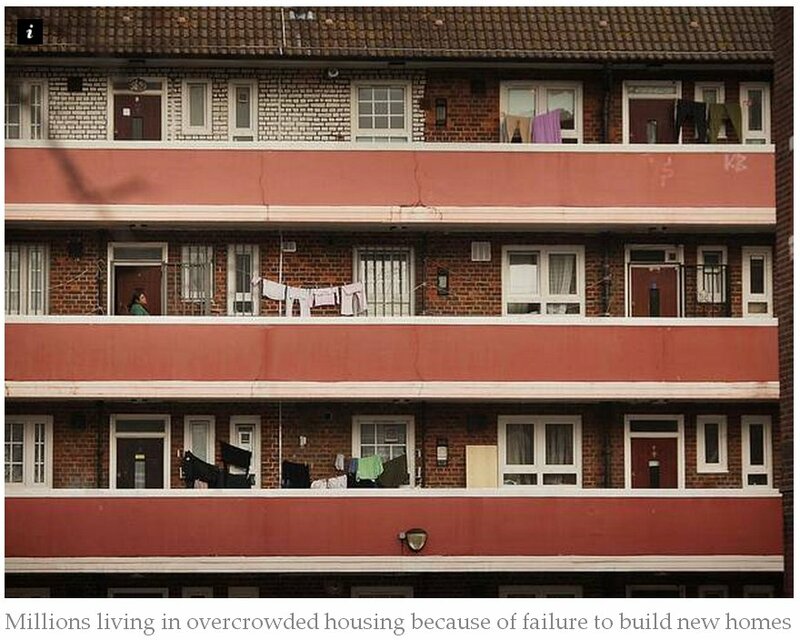 But soaring land and property prices and a shortage of new homes are fuelling overcrowding, which causes health problems including depression, insomnia and asthma. The authors of the study – based on an analysis of 16,000 homes in England – said the findings showed the bedroom tax was “fundamentally flawed”. 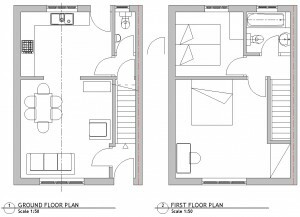 The study argues that, when analysed by floor space instead of the number of rooms, 55 per cent of all homes fail to meet enhanced minimum guidelines laid down by the London Housing Design Guide. This was introduced by the London Authority in 2011 to improve the quality of accommodation in the capital, but has come to be seen as the industry-wide standard. 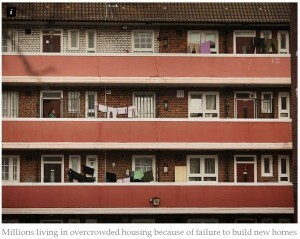 When analysed by number of current occupants, one home in five is too small. And the problem of too many undersized properties would be much more serious if it were not for low occupation rates caused by increased numbers of single-person households. Worst affected were flats and terraced houses with children, whilst the study suggested that 79 per cent of homes were either near or below acceptable size. 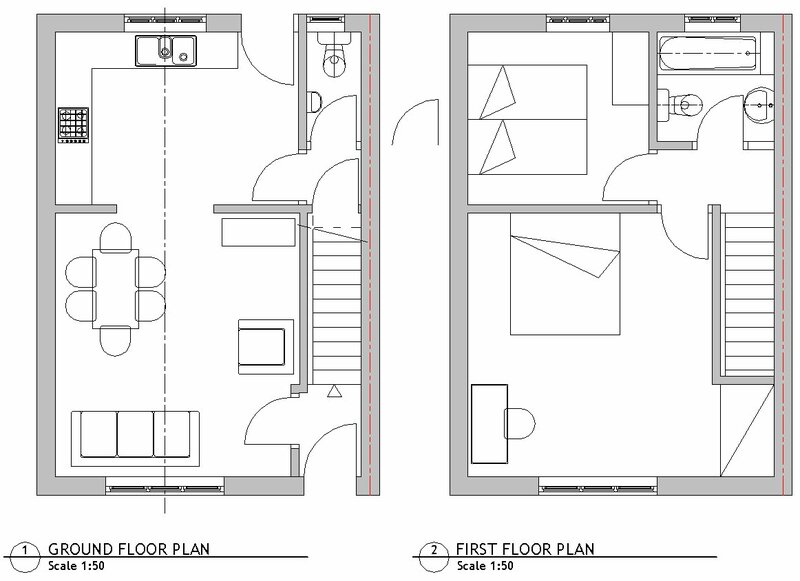 A 76m squared Living Accommodation on Two Floors. The average floor space for a dwelling in the UK as a whole is currently 85 sq metres, whilst new-builds average only 76 sq metres – putting Britain at the bottom of a league table of 15 countries including Ireland, Portugal and Italy. The paper, in the journal Building Research & Information, said that the extent of the problem was not fully understood. Up to a third of householders were said to be unhappy with where they lived. “The majority of homes in the UK are not fully occupied and yet residents are dissatisfied with the amount of space, with lack of storage space, insufficient space for furniture and lack of space in which to socialise often cited as particular problems,” said the authors Malcolm Morgan and Heather Cruickshank. Mr Morgan, who led the research, said many people found themselves in what was described as a three-bedroom property but which only had the floor space of a two-bedroom place under the London standards. Box rooms categorised as bedrooms were only of use as storage spaces or studies. The president of the Royal Institute of British Architects Stephen Hodder said the average new one-bedroom property measuring just 46 sq metres was the same size as a London Underground carriage. “This is depriving households of the space they need to live comfortably and cohesively,” he said. “Space for children to do their homework, private areas for rest or relaxation and even space to store food and the vacuum are all major concerns in British homes. With a failing housing market, we need to empower our local authorities to borrow money and build quality homes,” he added. Most my design projects involve solutions and construction methods that mitigate for Climate Change. Whether we agree with the imposed methodology or not, we are obliged to meet certain mandatory Government Standards during construction as legislators set targets that aim to reduce Carbon Emissions. These Construction Standards are monitored by Building Control. It would be very easy for us, (and less time consuming) to follow blindly the rules without any in depth knowledge of the facts behind Climate Change. However, I consider we have a duty to advise properly based on a clear understanding of the global issues. 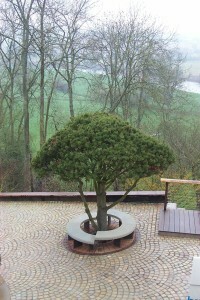 What I call joined-up-thinking or the Gaia Principle. Only then can we make a difference that is effective. I have very mixed feelings about the current effectiveness of our Climate Change Mitigation methods for many different reasons. In particular because we are discouraged by our specialisations from looking at the broader picture which is judged as being beyond our remit. The technological insight, at the top that produces legislation is seldom shared by those at the sharp end constructing houses or by clients paying the bill. Hence mitigation is often watered down as people try to navigate round very complex and expensive demands with a very modest understanding of the issues and a limited budget. And there is far too much reliance on a technology that out-strips our technical knowledge. Control systems are now invisible – hidden in binary code and inside chips. As a result systems that are too complex and unfathomable are used inefficiently so that valuable materials and opportunities are squandered. In the end the real benefits are often too small to be significant. A simple example of counter-productive Green Wash was the flooding of the market with mercury loaded (toxic) low energy lamps that were a knee jerk reaction to the need to cut Carbon Emissions. How many millions went to landfill? And another – the production of Solar lights made of stainless steel and complex components that fail because they are made so cheaply and with built in obsolescence – the same mindset that got us into this sorry state in the first place. So we do not simply bow to legislation and where we think it won’t work we do not apply it. Skepticism and/or indifference plays a huge part in forming prejudiced attitudes towards building to any effective standard. Most builders just want to get the job done without losing money. Most clients want the end result for a sensible price. And we, as designers, can only advise and inform. The impact we can have as a single operator, in constructing to a higher standard, is minuscule and a huge tax on the end user that is often not value for money. So are we being sold a hysterical and misguided tale of woe for some hidden agenda or is Climate Change a fact we really need to do something about? 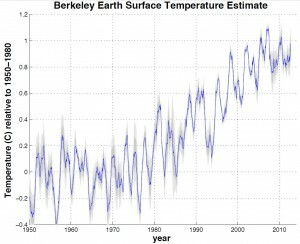 This Article (link below) has been put together by Berkeley Earth – a group of scientists researching claims surrounding Climate Change. Berkeley Earth is independently operated, funded primarily by unrestricted educational grants. They pursue objectivity without concern for policies of government, industry or philanthropic ventures. 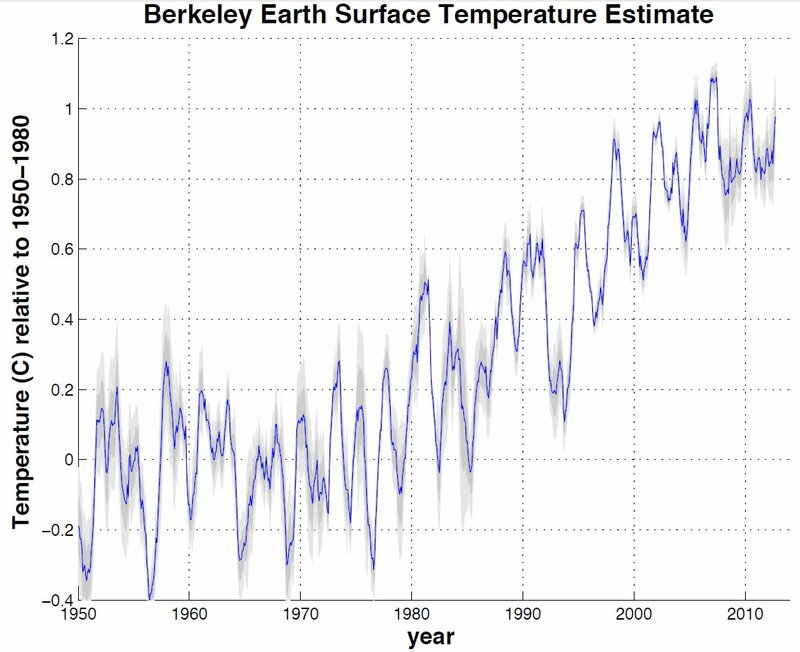 Surface Temperature Estimate produced by Berkeley Earth provides indisputable data. CALL me a converted sceptic. Three years ago I identified problems in previous climate studies that, in my mind, threw doubt on the very existence of global warming. Last year, following an intensive research effort involving a dozen scientists, I concluded that global warming was real and that the prior estimates of the rate of warming were correct. I’m now going a step further: Humans are almost entirely the cause. SOURCED: by Abrahm Lustgarten ProPublica, June 21, 2012, 9:20 a.m. The FIT rate was reduced on 13th December 2012 but there may still be time to get your system generating at the old rate.